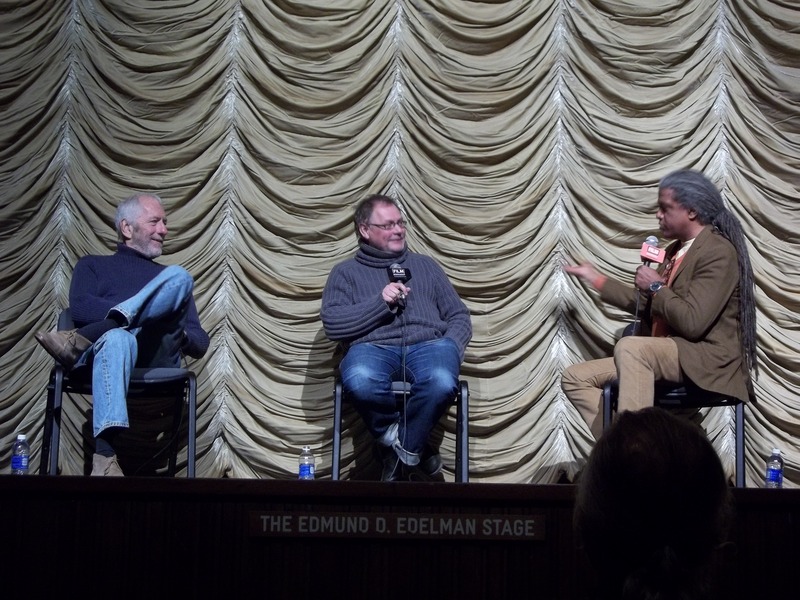 Last night I went to the Bing Theater at LACMA to watch a screening of Richard C. Sarafian’s 1971 film Vanishing Point followed by Q&A with the incredible Oscar-winning cinematographer Janusz Kaminski. He’s Steven Spielberg’s go-to DP. Together they’ve amazed us with films like Schindler’s List, The Lost World: Jurassic Park, Amistad, Saving Private Ryan, A.I. Artificial Intelligence, Minority Report, Catch Me If You Can, War of the Worlds, Munich, and the list goes on, right up to Lincoln, for which Kaminski is nominated for another Academy Award. 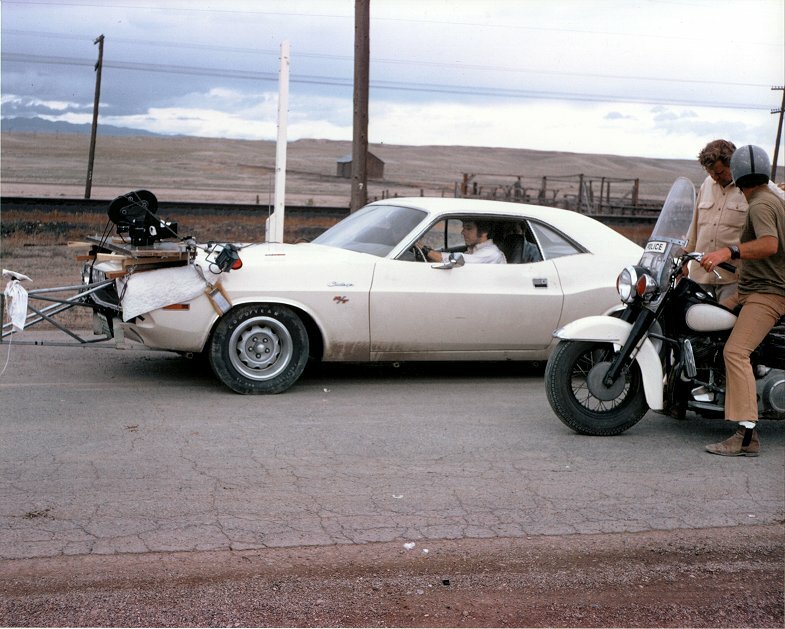 We all have Vanishing Point to thank for Kaminski’s contribution to film. After seeing the film, while still a teenager, Kaminski’s love and passion for filmmaking began. 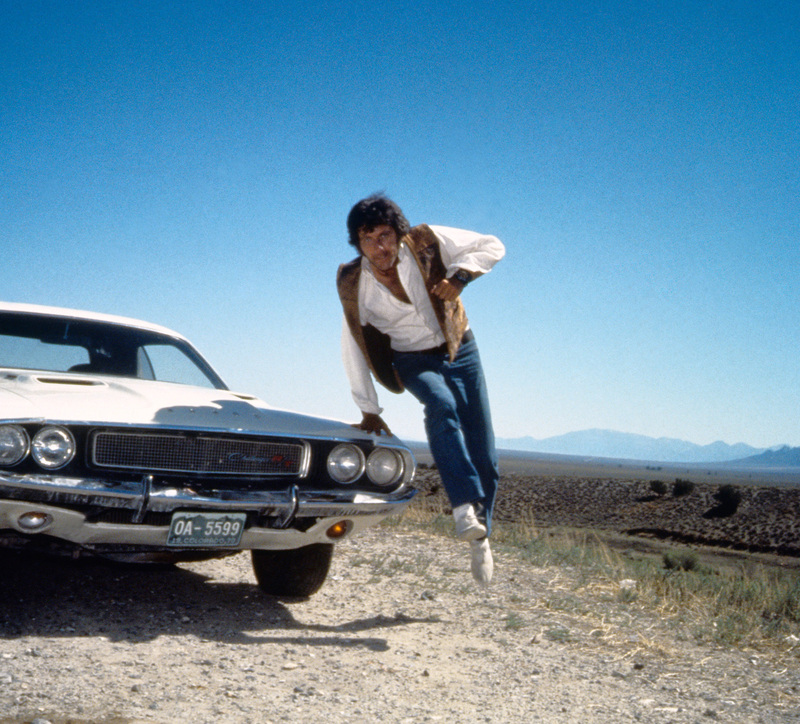 Coincidentally, Vanishing Point also made a strong impression on Steven Spielberg, and had such a powerful impact on Quentin Tarantino that he made Deathproof using the same Dodge Challenger model. At the beginning of the evening, we found out we had a surprise guest in the theater. 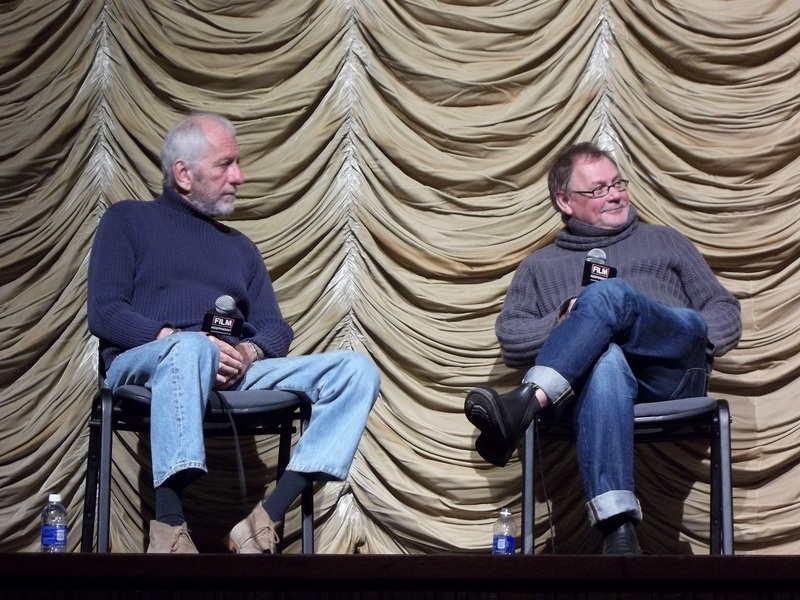 Barry Newman stood up and waved from the back, and there was no way the audience was going to let him leave without joining Kaminski onstage. 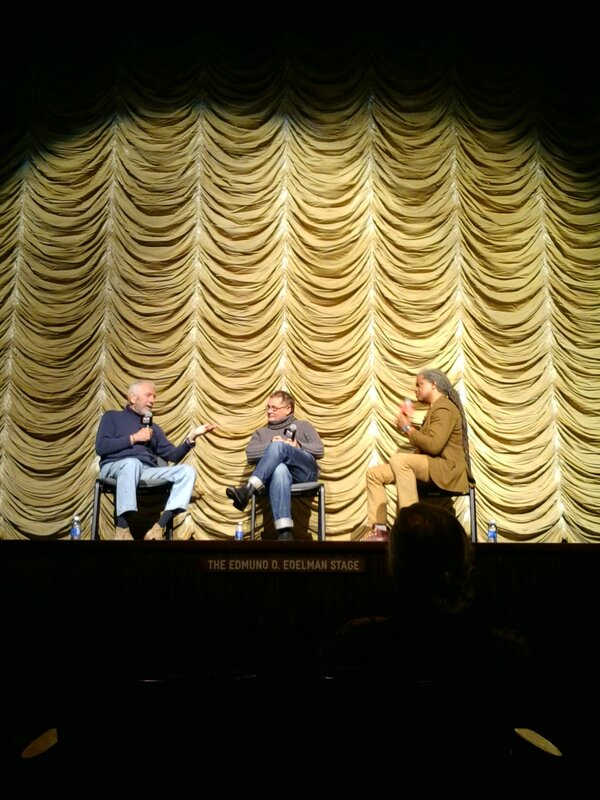 It was a great night, listening to these two pros talking about film. Kaminski cracked up the audience when he lamented that he was disappointed after leaving Poland for America, only to arrive and not find any naked women riding around on motorcycles (a famous scene from the film). 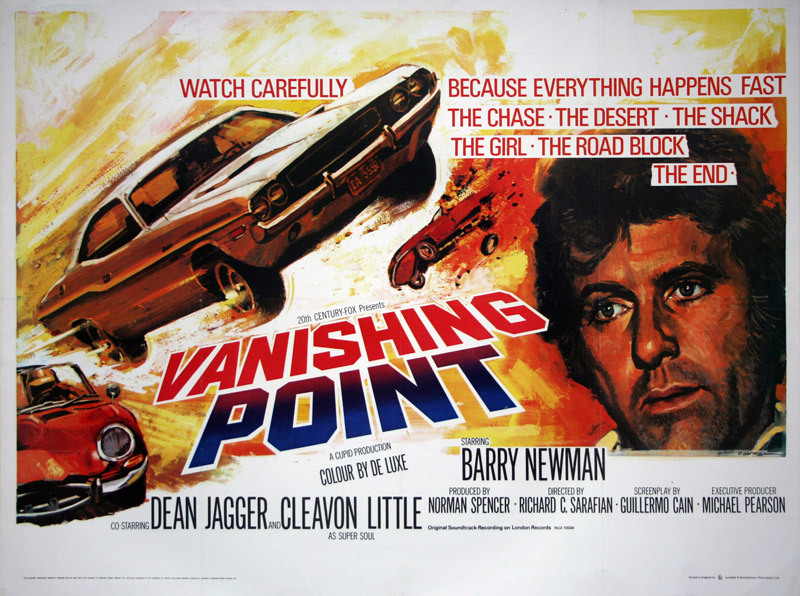 Barry Newman talked about making Vanishing Point and shared his explanation of the ending (SPOILER ALERT!). He said that Kowalski wasn’t committing suicide by driving into the bulldozers, but rather he saw light between the two bulldozers and believed himself to be so invincible after all that he had done that he could escape through it. Newman also told us that a few years after he’d made the film, he actually took some time and drove the complete trek laid out in the movie, but actually went all the way to San Francisco. 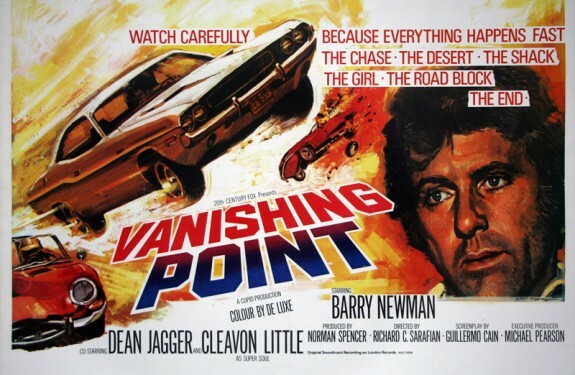 I admit that I didn’t love this film the first time I saw it, but I enjoyed it more last night, and after hearing Kaminski and Newman talk about it, I have a newfound appreciation for Vanishing Point as one of cinema’s often overlooked gems.